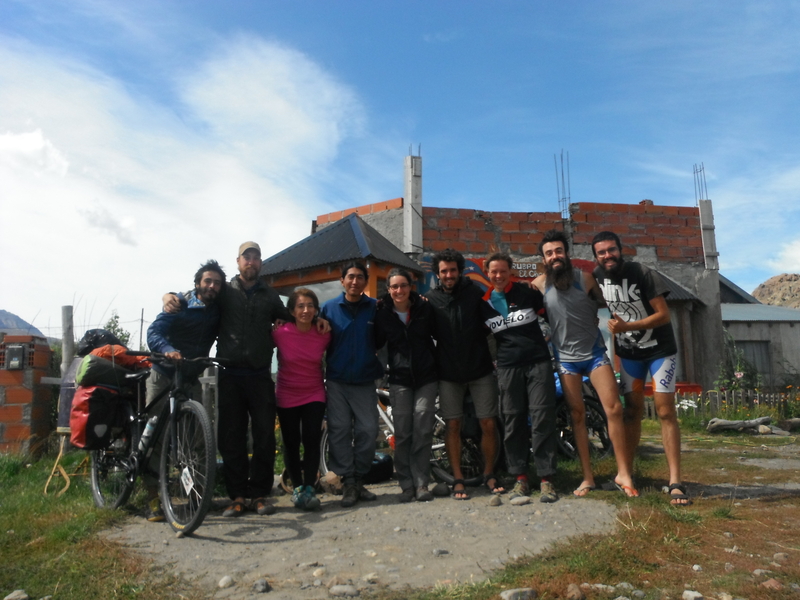 Angel, Quique and Victor from Spain, Edwin and Sebastian from Ecuador and Columbia; there are Fanny and Tancrede from France and even Cherri and Charmian, two british girls whom we met five months ago in La Paz for the first time. 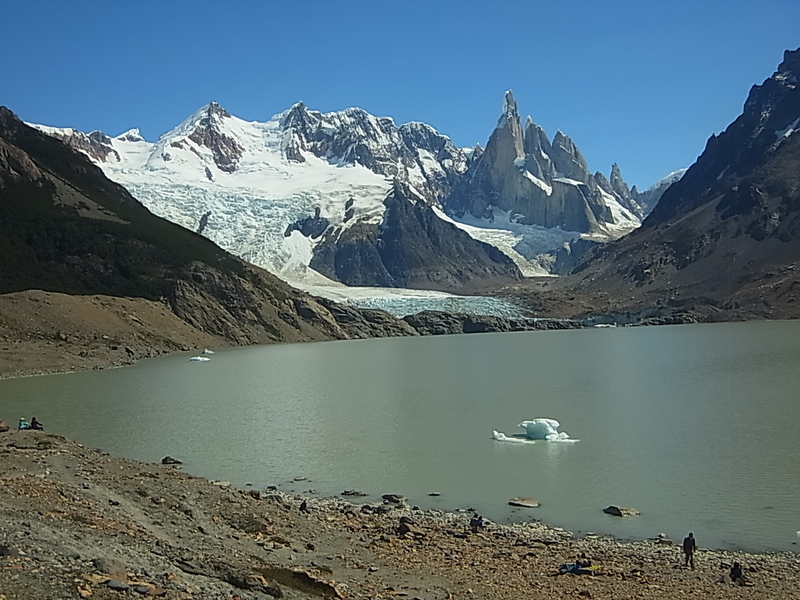 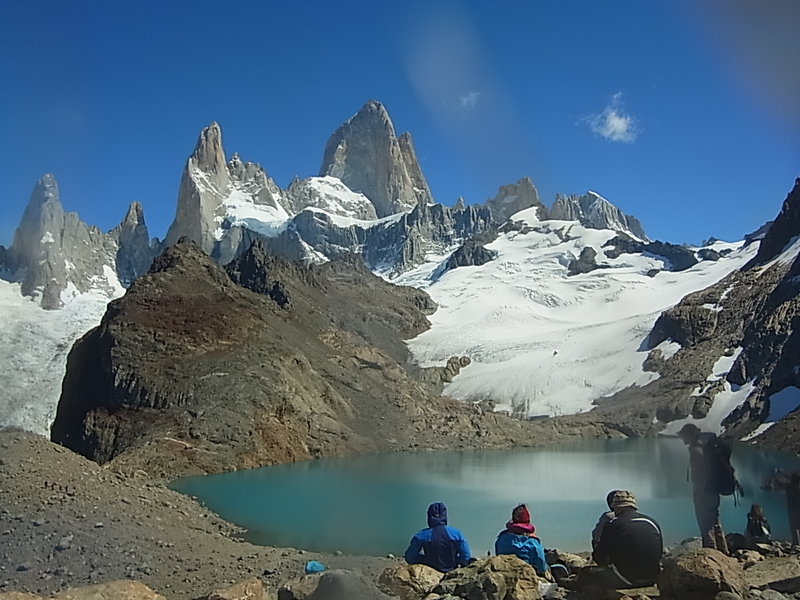 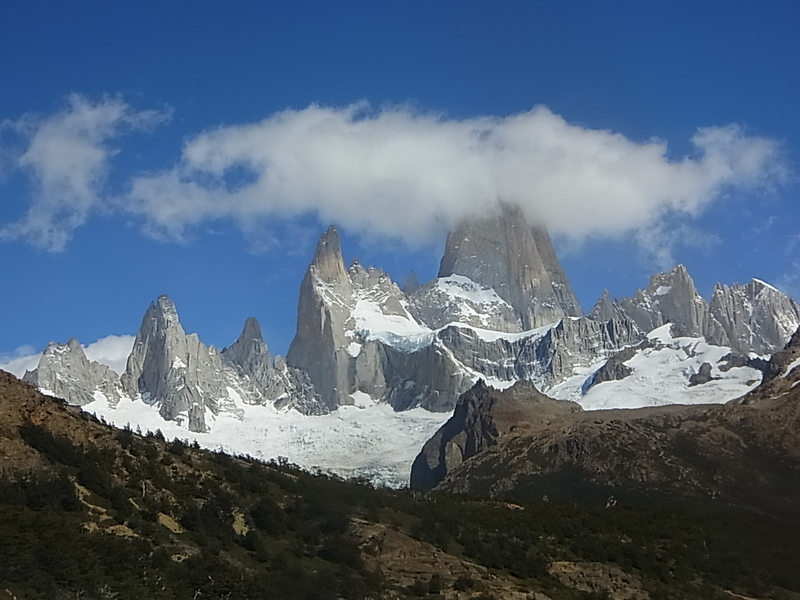 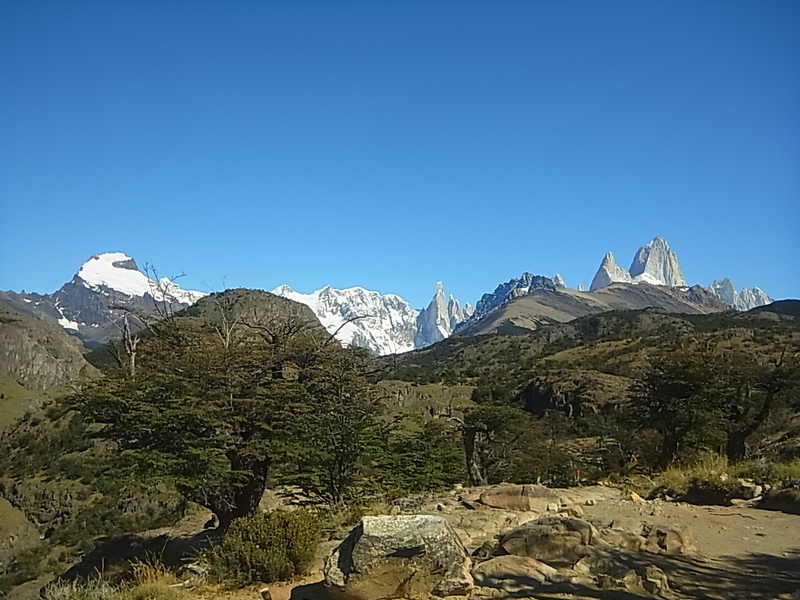 the second to Lago de los Tres, at the feet of Cerro Fitz Roy. 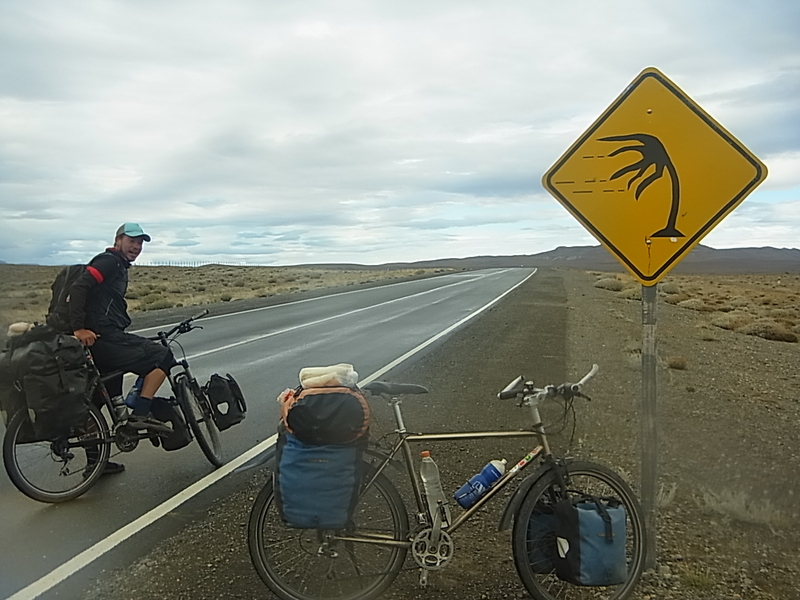 To get from El Chalten to El Calafate, we have to cycle a nearly perfect “U”, so the third day should bring headwind but – as a real nice surprise – is completely windstill. 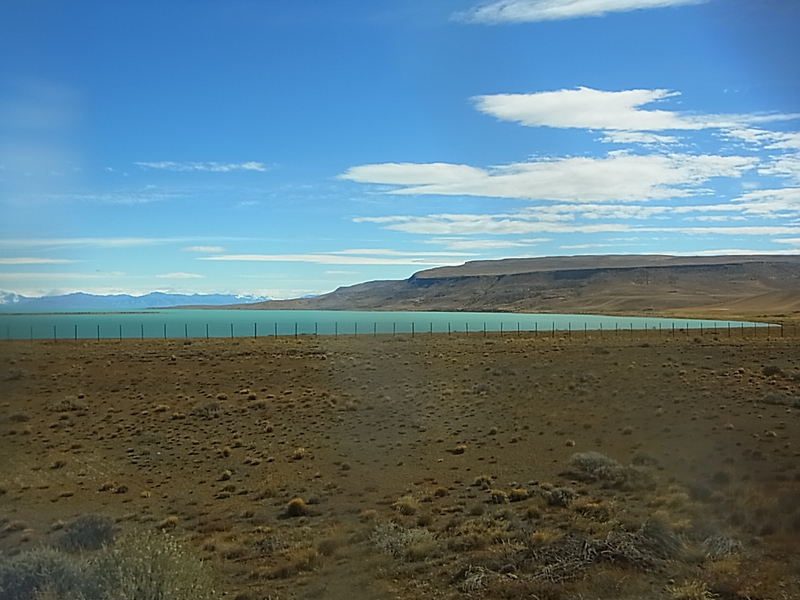 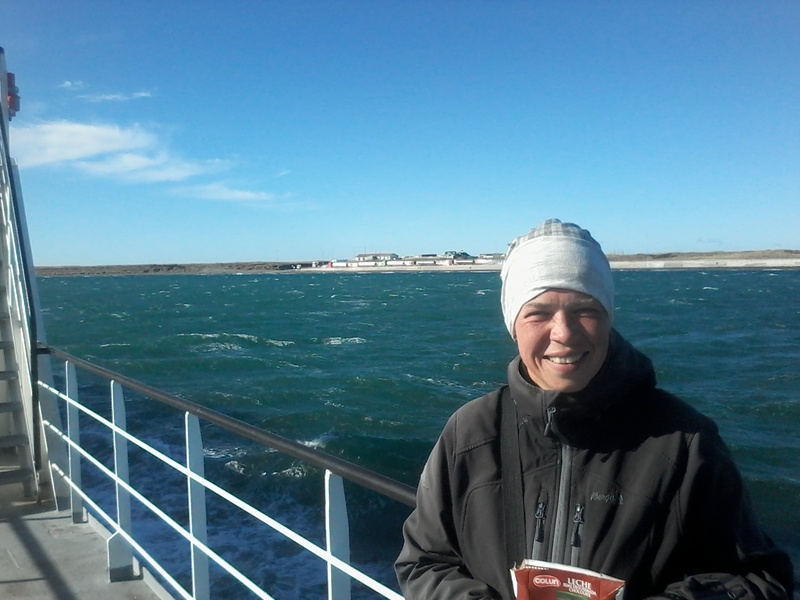 We take advantage of this unusual condition and just pass by El Calafate (the hometown of the Argentinian president Christina Fernandez de Kirchner, also known as La Kirchner) and ride on to the Lago Roca. 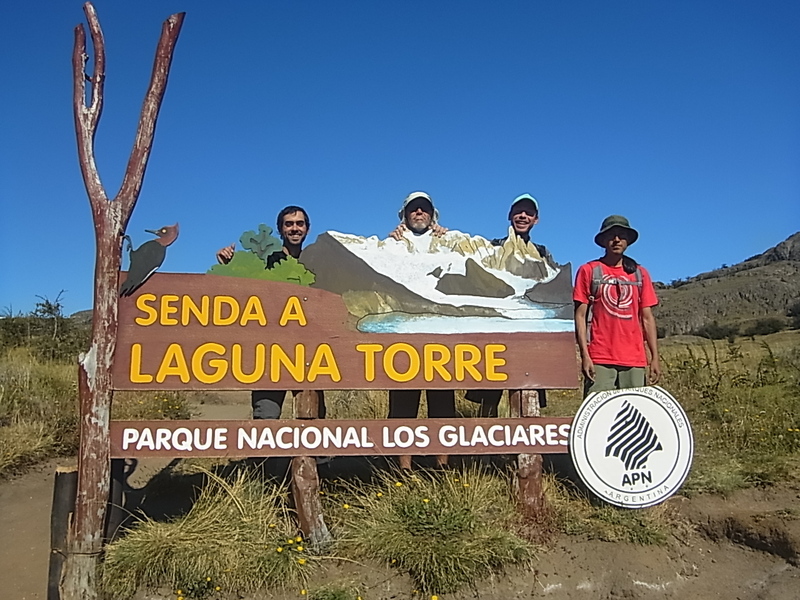 There we intend to do a hike on the Cerro de los Cristalos which should have a marvellous 360° sight over the icefields. 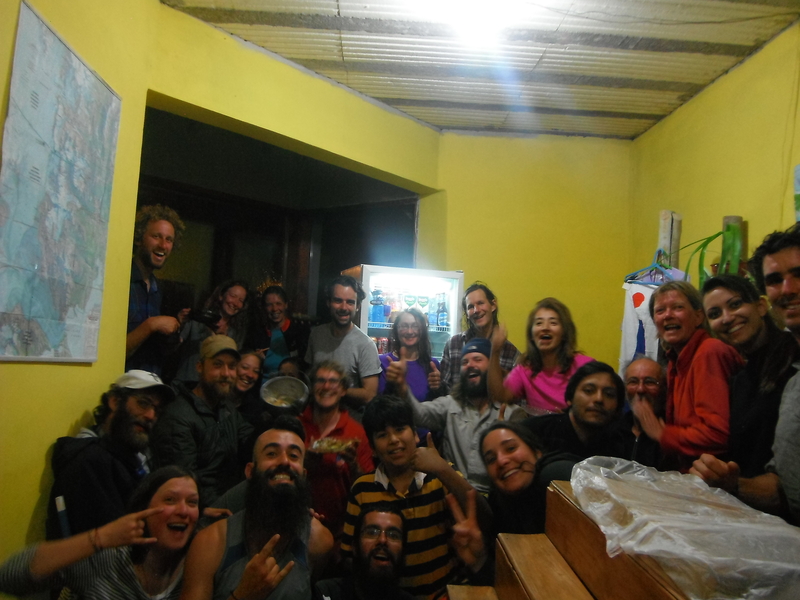 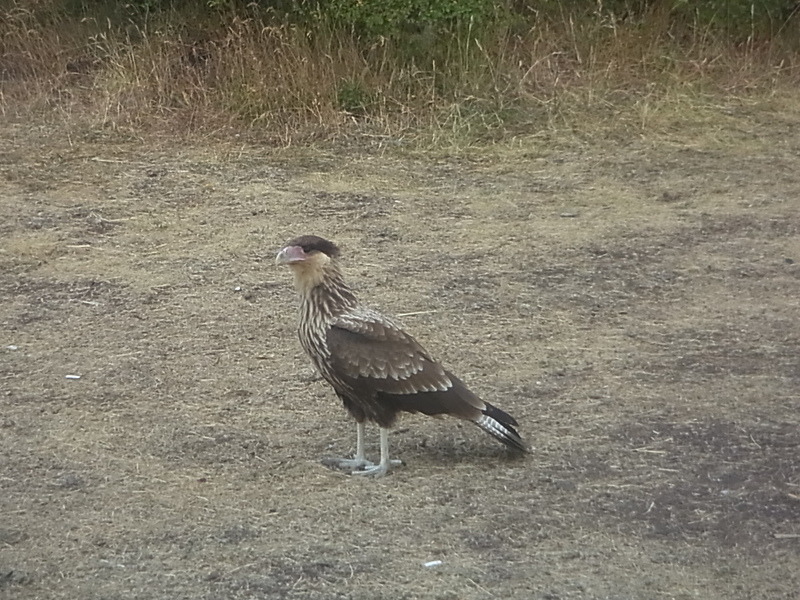 We stay for three days on the free and beautiful campsite “La Huala” and get the company of some wildlife but have no luck with weather. 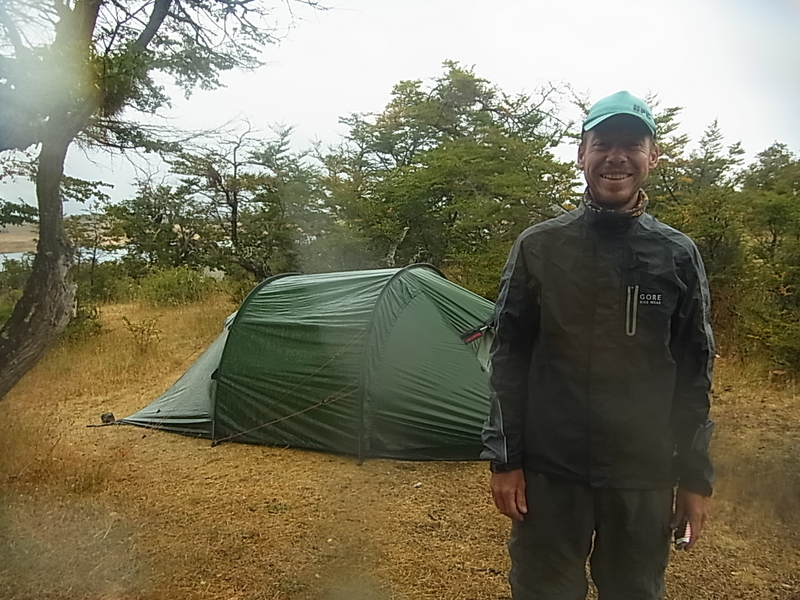 The Cerro is all the time covered by clouds and as we try to do the hike anyway, halfway up it starts to rain and hail and we have to return. 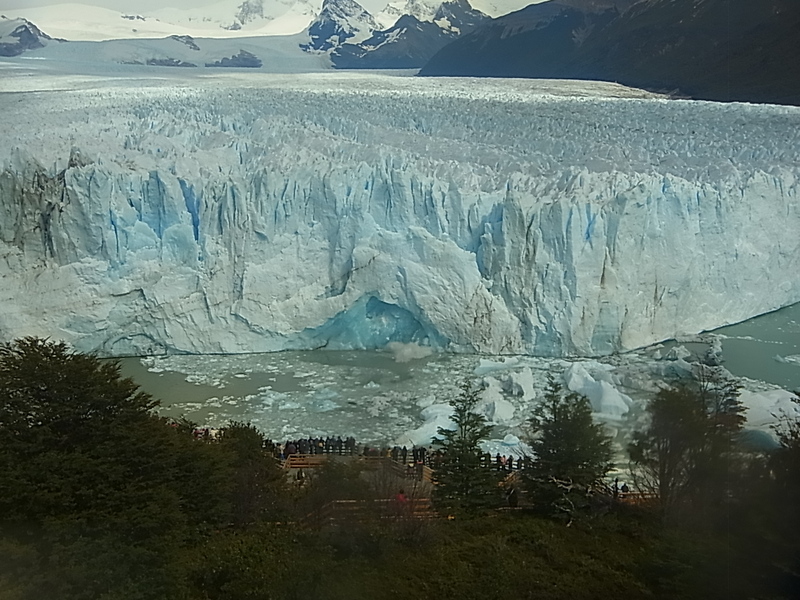 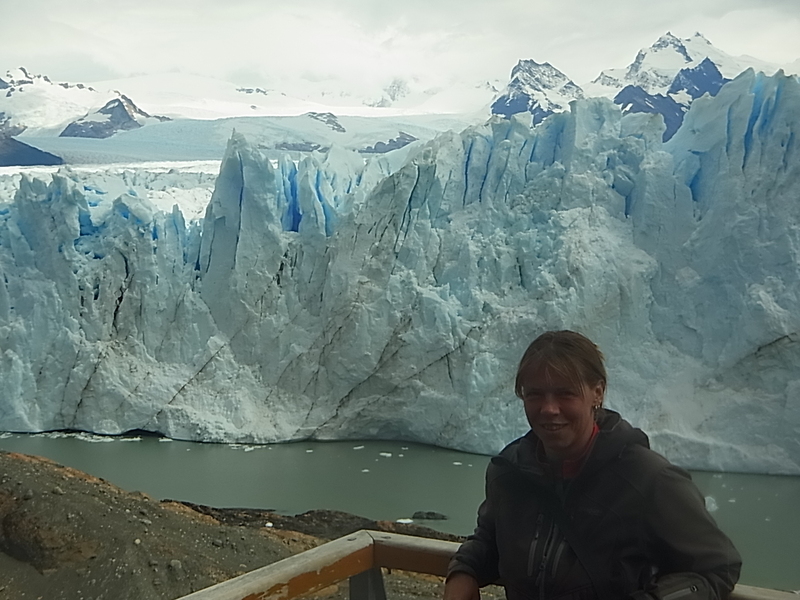 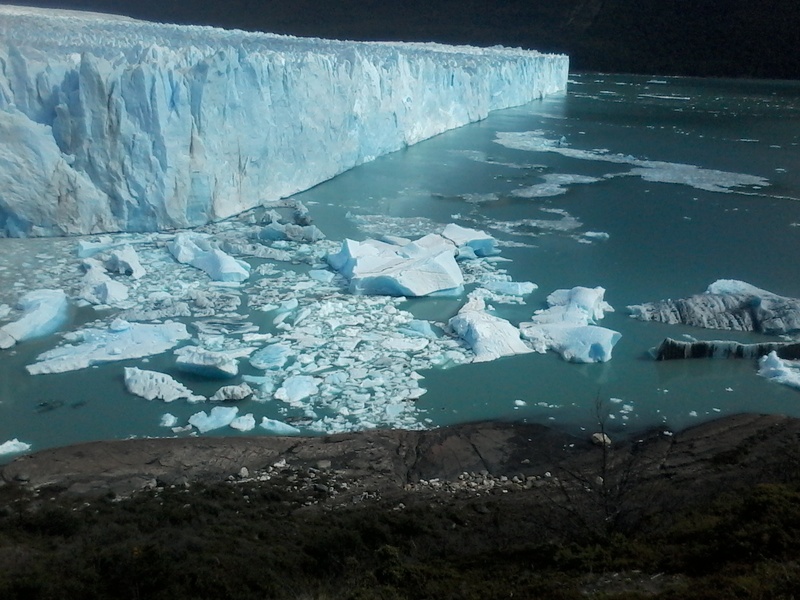 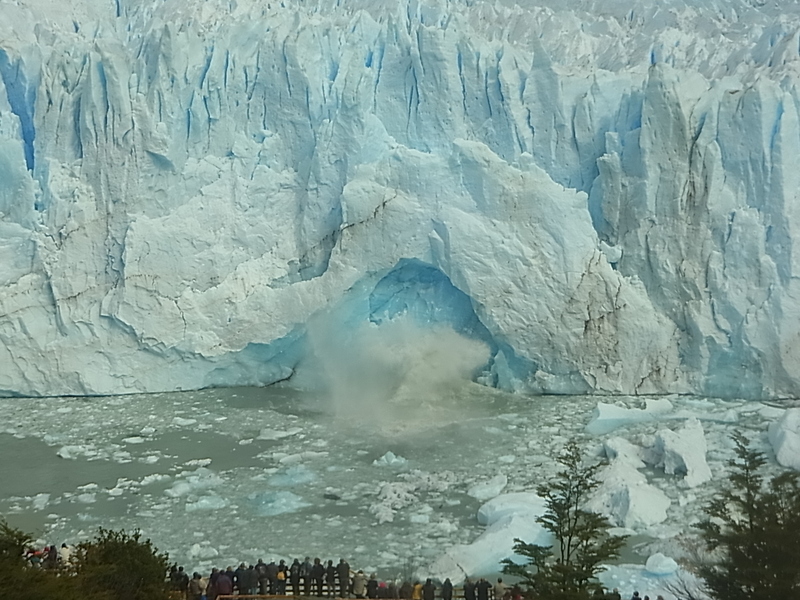 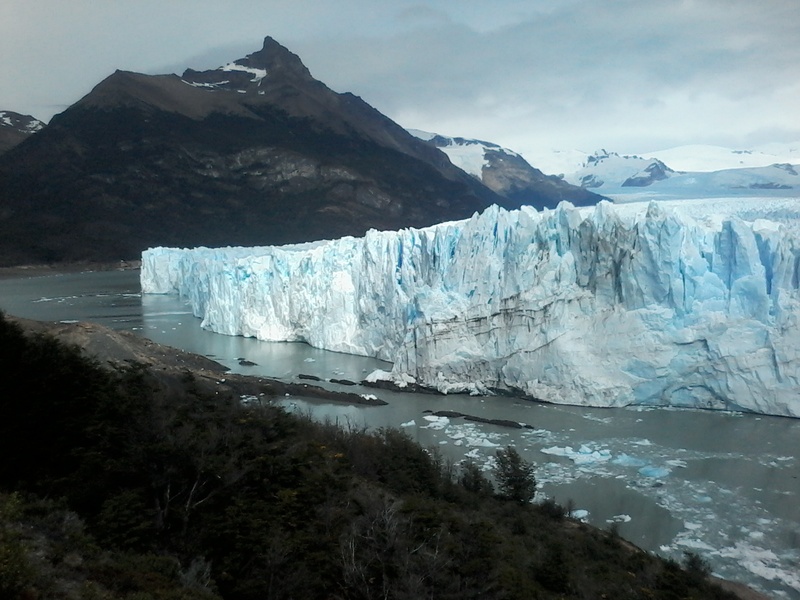 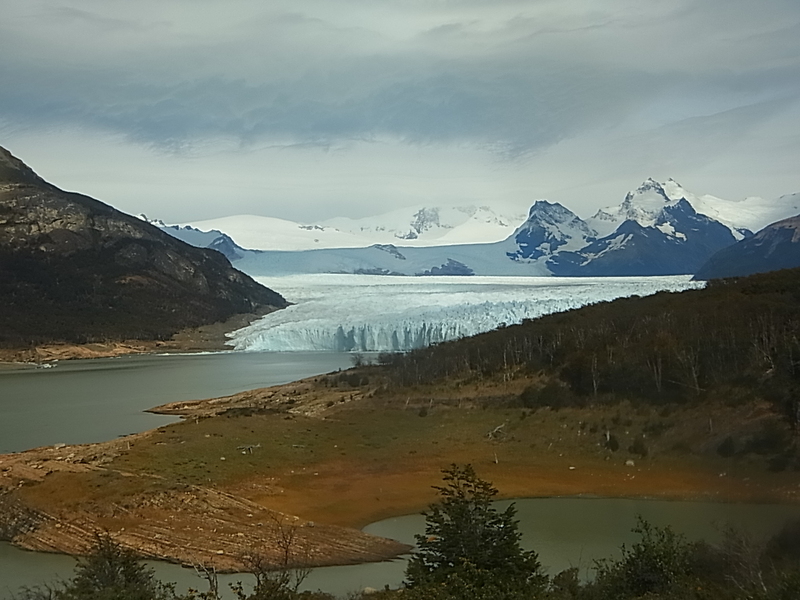 Of course we can´t leave the region without visiting the main attraction: Perito Moreno, an enormous glacier, covering about 350km², and with parts as big as cars or houses breaking off every day. 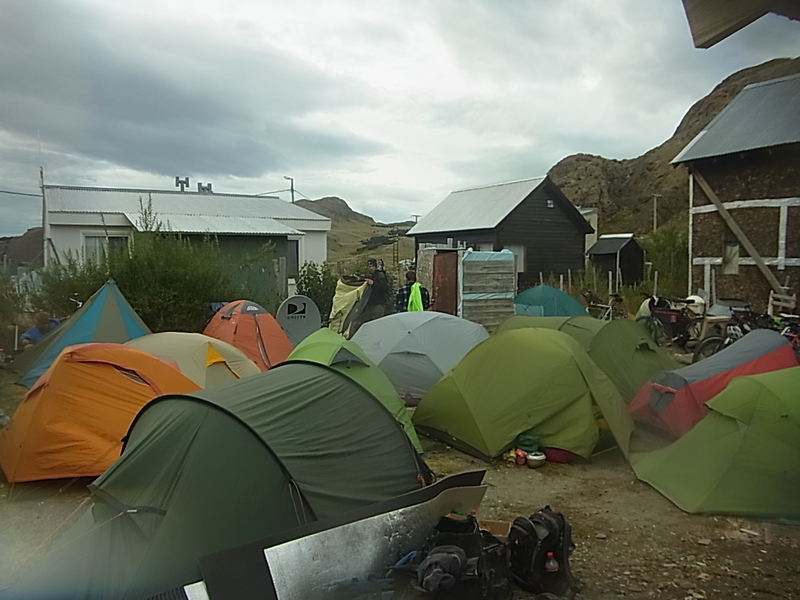 What we donˋt like is the organisation around though. 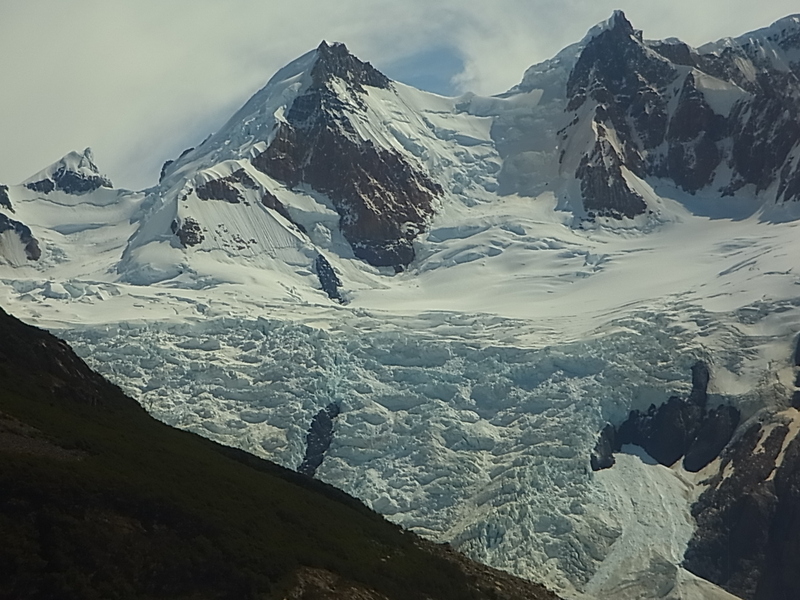 It feels like a well organized machine to earn money, just one street from the entrance to the glacier, 30km forth and 30 back, no hikes or campsites and itˋs forbidden to leave this road in general. 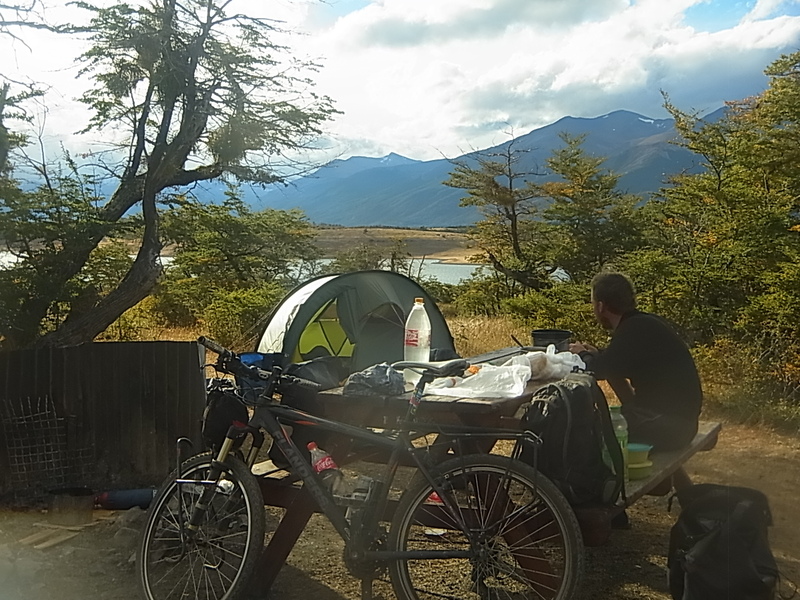 Not nice but not a problem by car nor by bus, but by bicycle itˋs a tough ride for one day and from the entrance to El Calafate itˋs another 50km more. 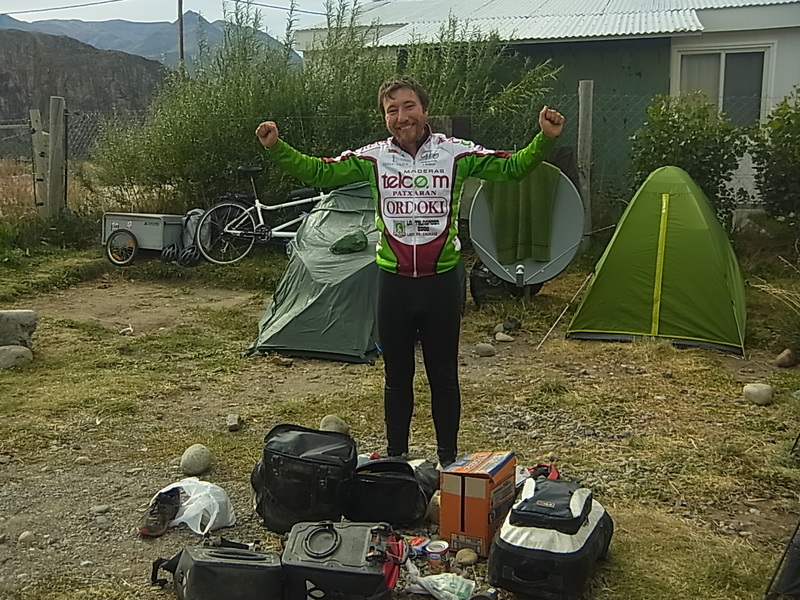 We stock up supplies for six days before we leave El Calafate and head to Rio Gallegos, 315km away on the other side of the continent. 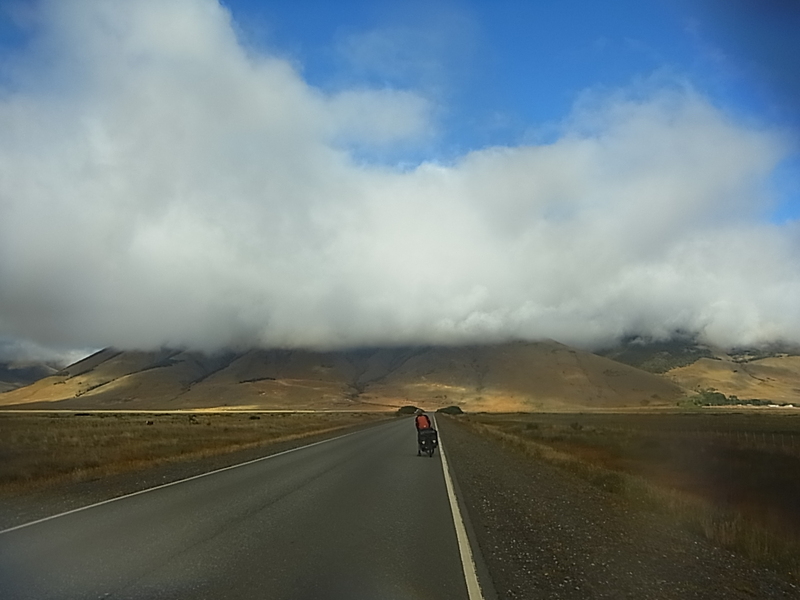 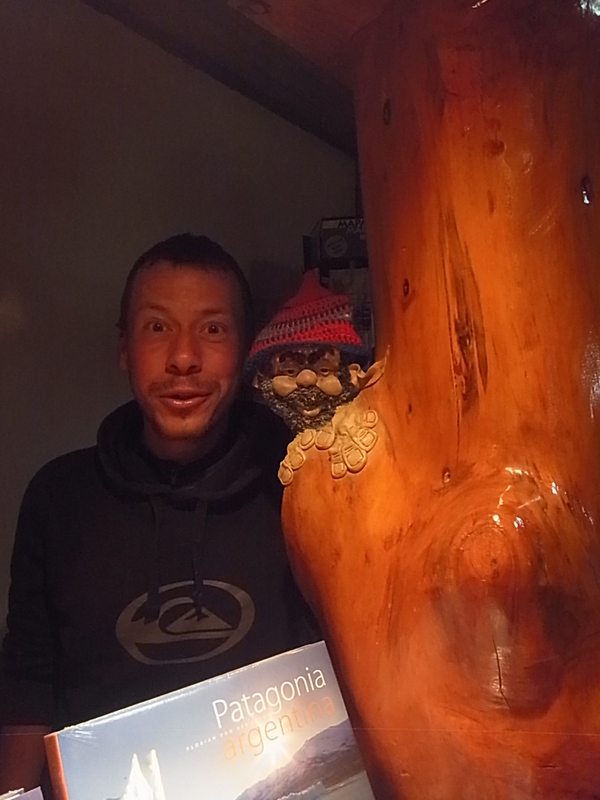 From here on we ride solo again, as we cross back over to the Atlantic Ocean, and all the other cyclists, including Diego and Dieisson, head south towards Puerto Natales and the Parque Nacional Torres del Paine. 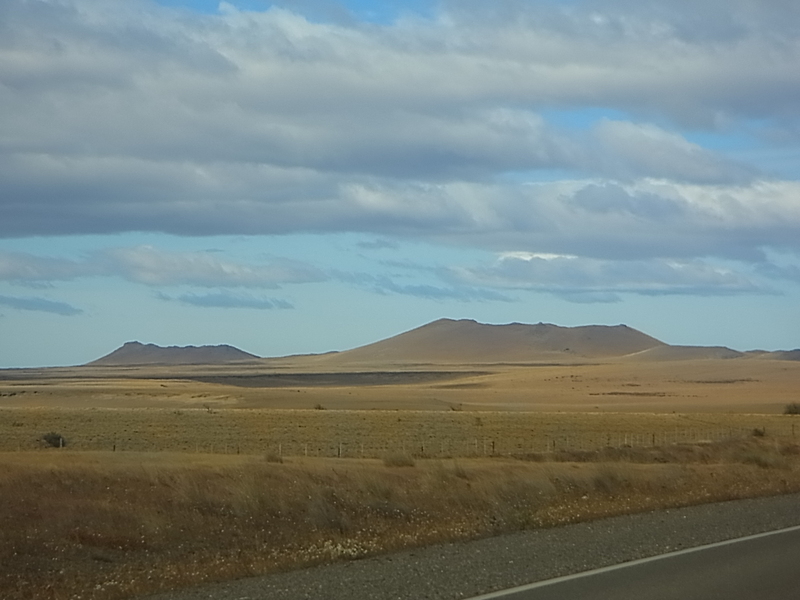 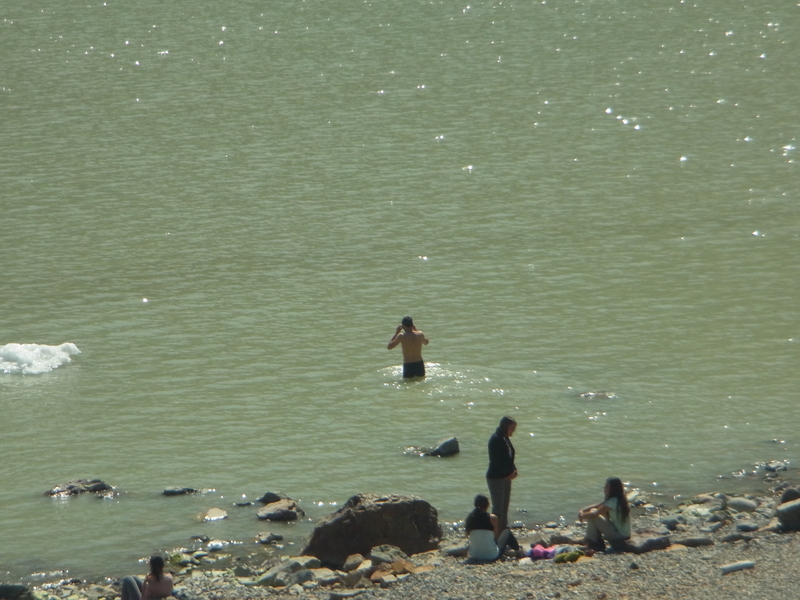 And now we are really into the Pampa, very different from the Carretera Austral. 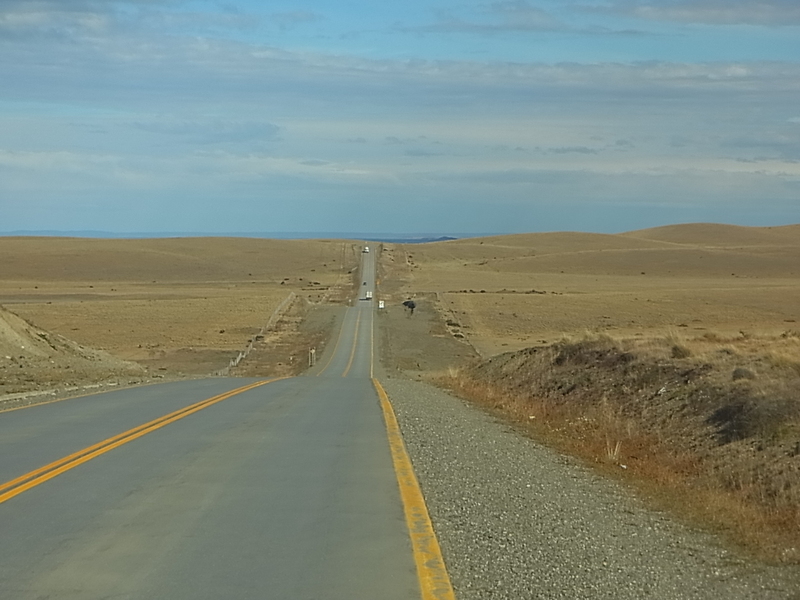 Here there is just yellow and green grass, sometimes a river (but very seldom) and the road is wavy, not as steep as the Carretera. 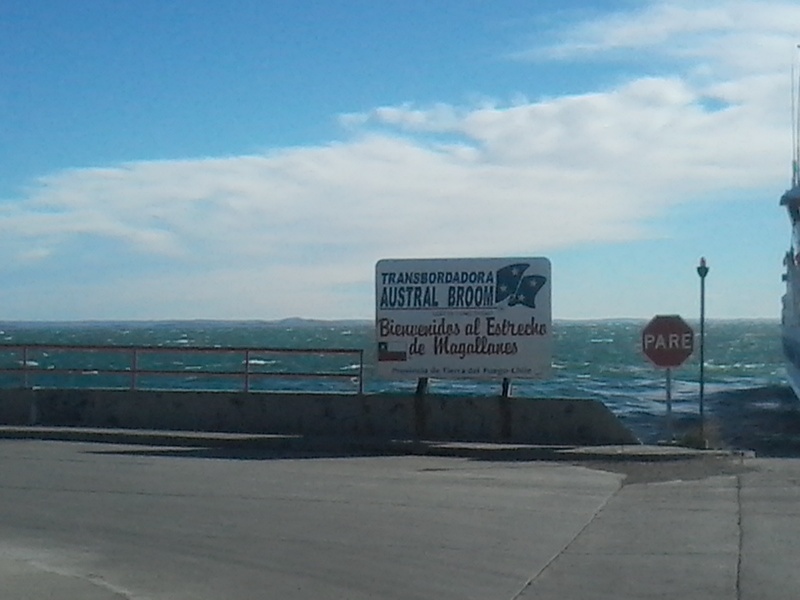 In the evenings the same wind is not so nice anymore. 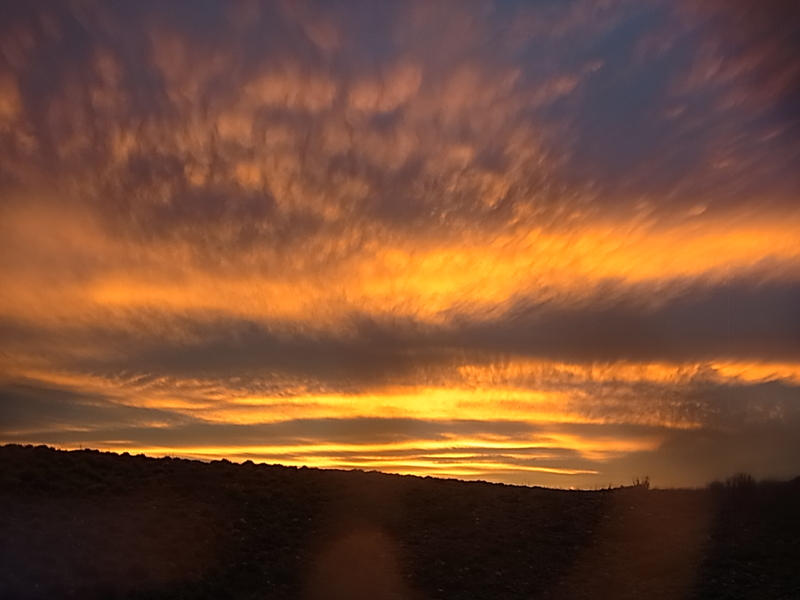 Although not too cold, it makes putting up the tent or cooking a real challenge but once settled down we can enjoy wonderful sunsets, with a coloured sky as far as one can see. 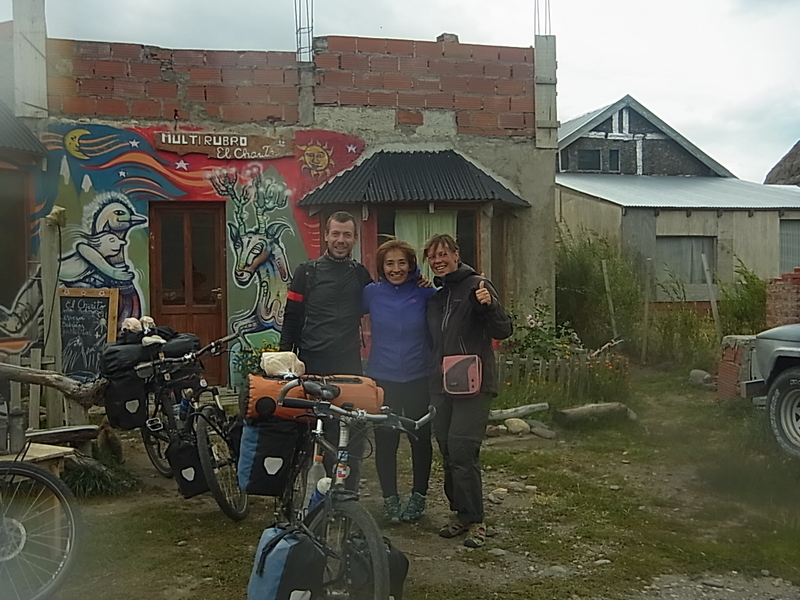 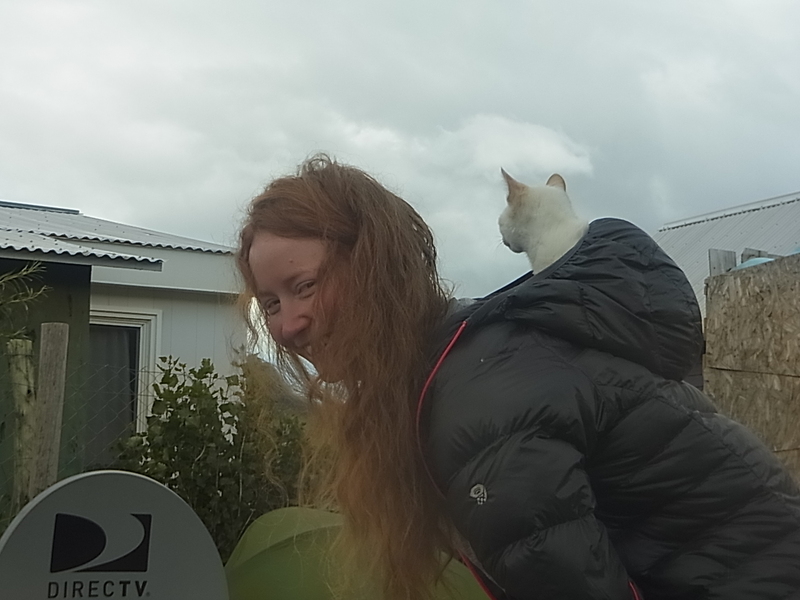 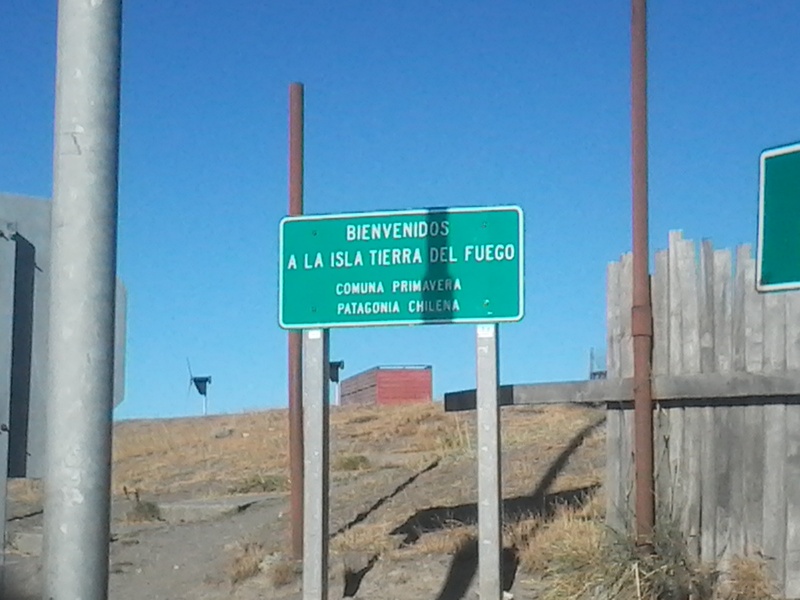 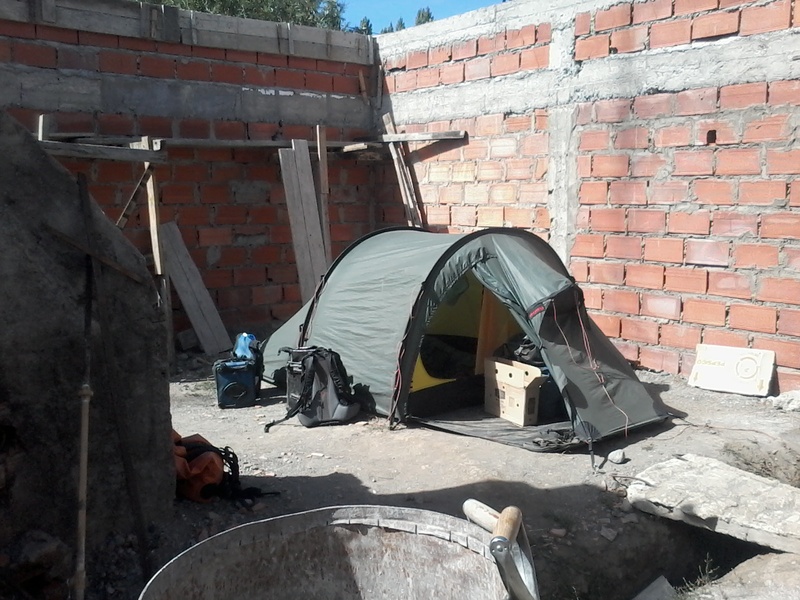 It doesnˋt take us six but only three days to reach Rio Gallegos and then itˋs onto the last part on the continent before we cross over to Tierra del Fuego. 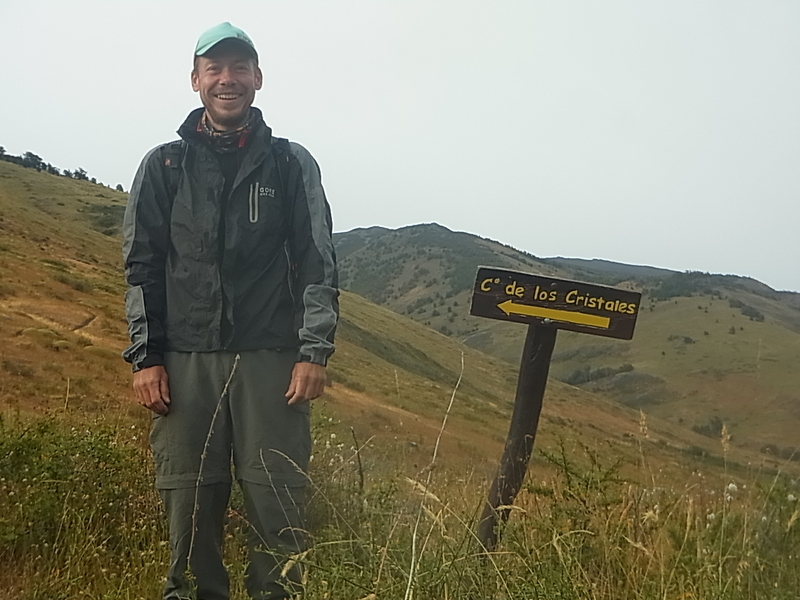 Another 110km, only because the road was built around the huge private properties of the Estancias down here, built in a straight line the distance would have been only half.